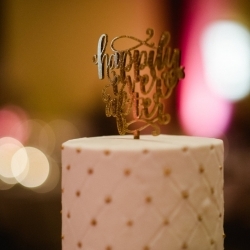 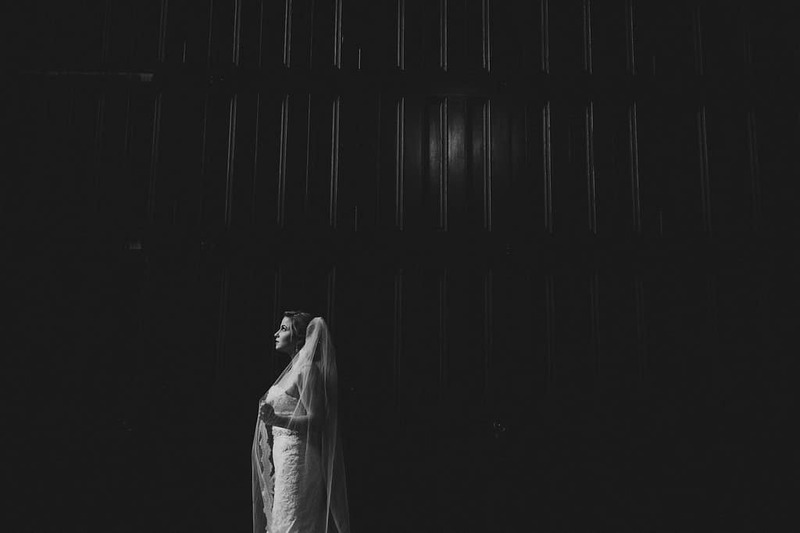 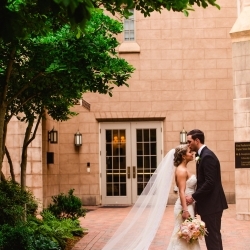 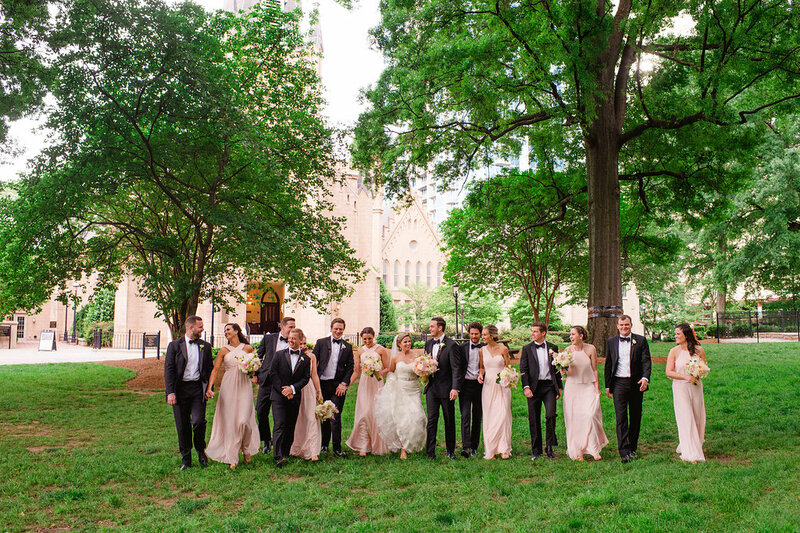 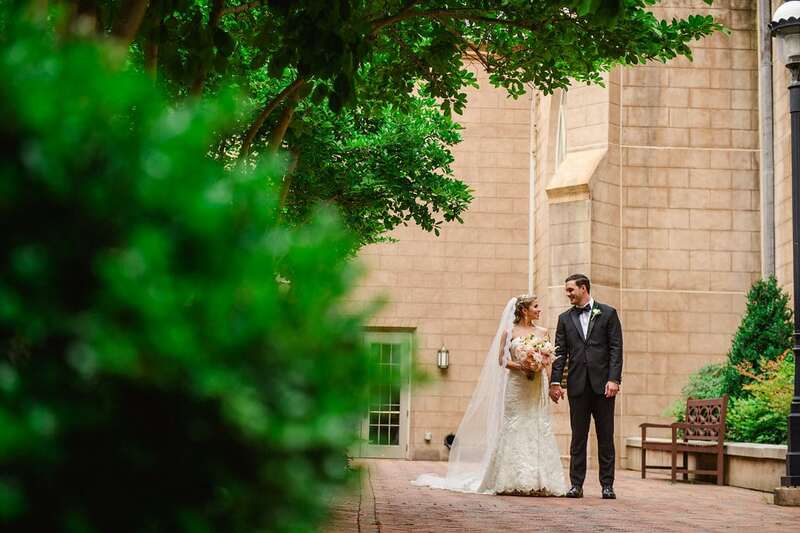 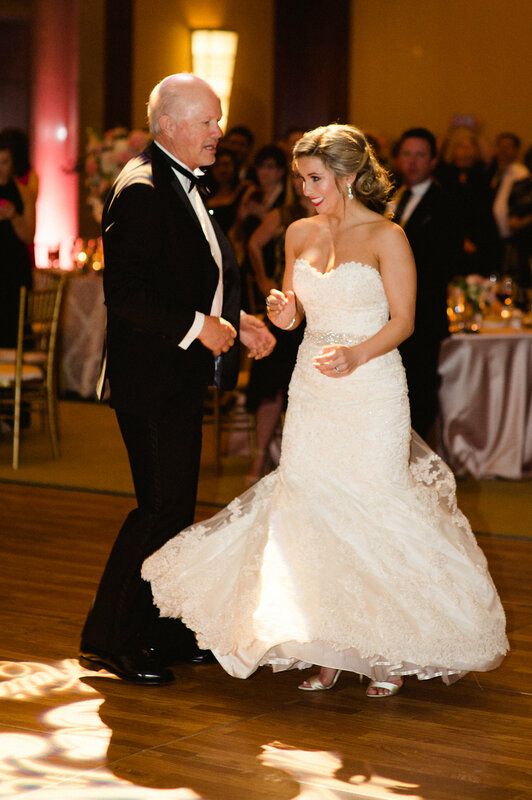 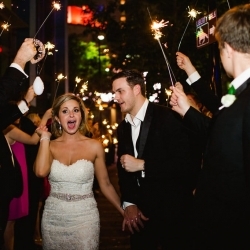 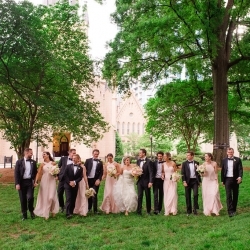 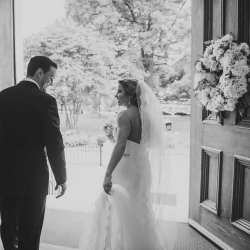 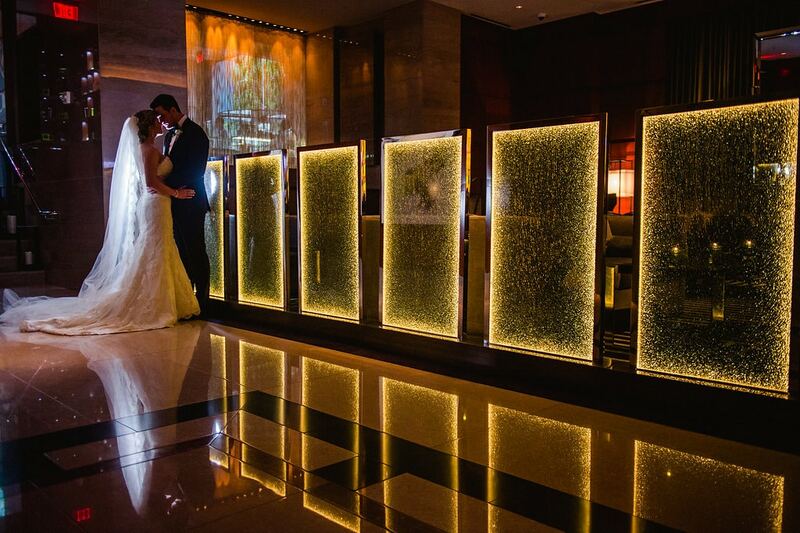 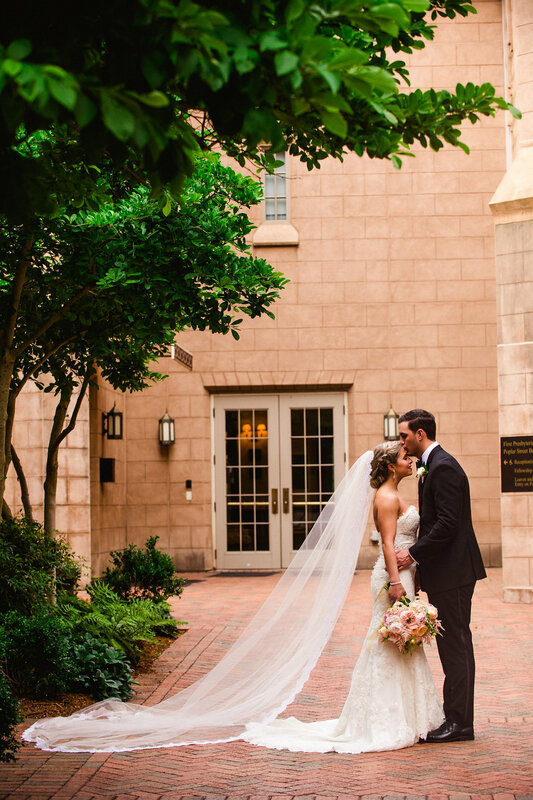 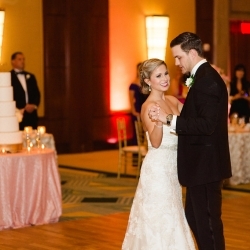 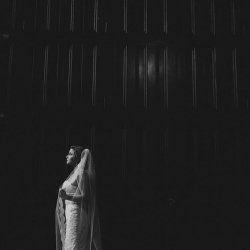 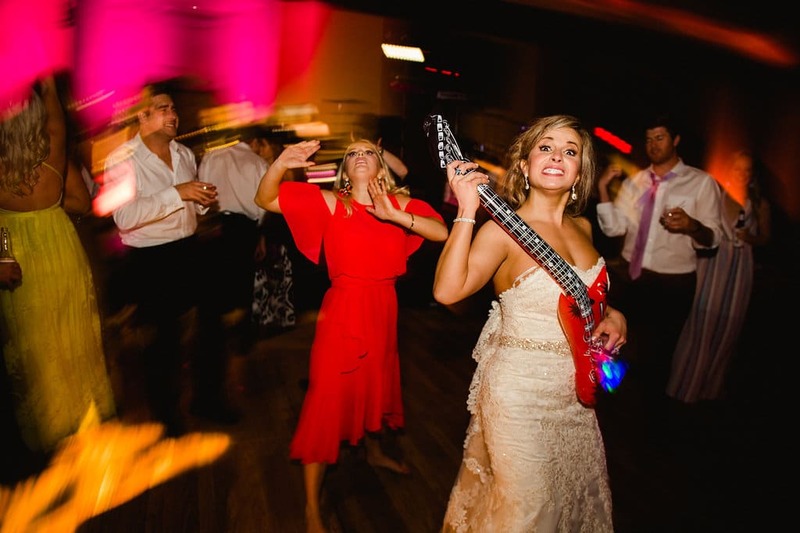 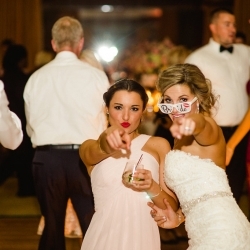 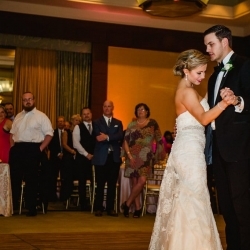 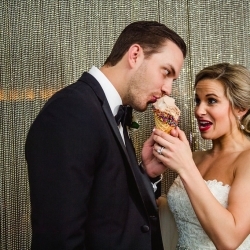 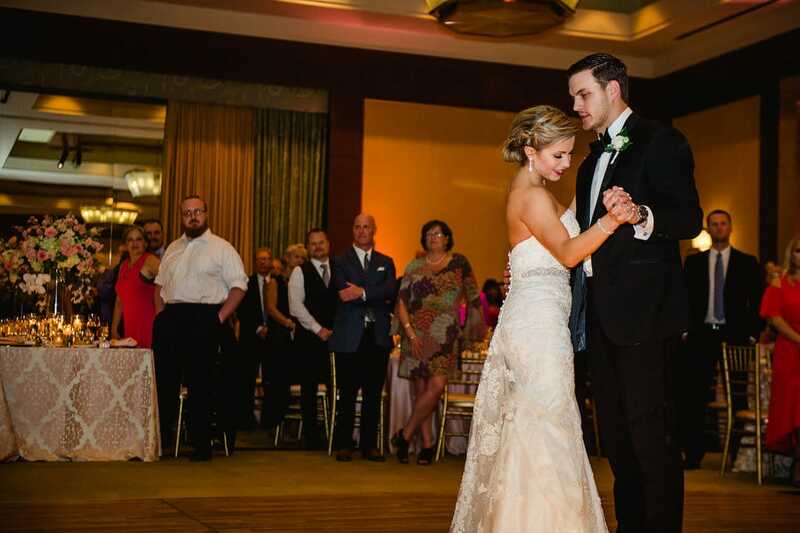 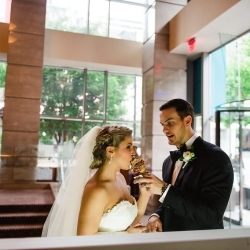 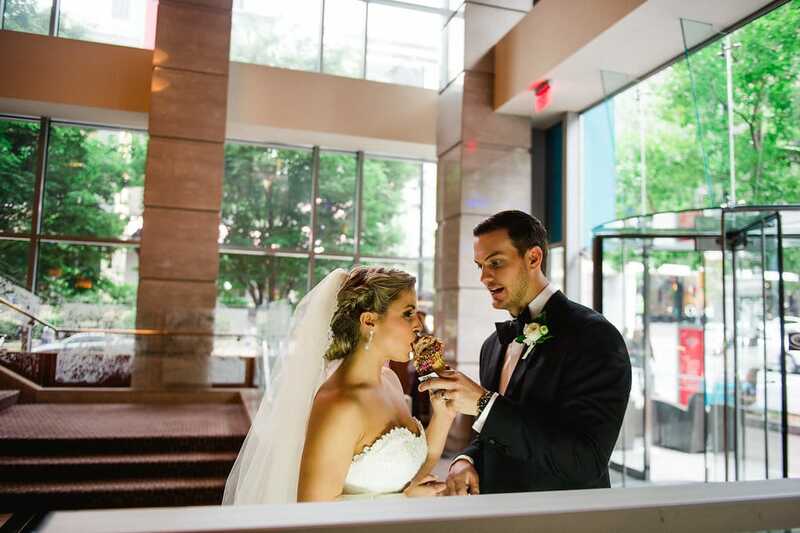 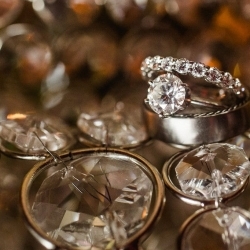 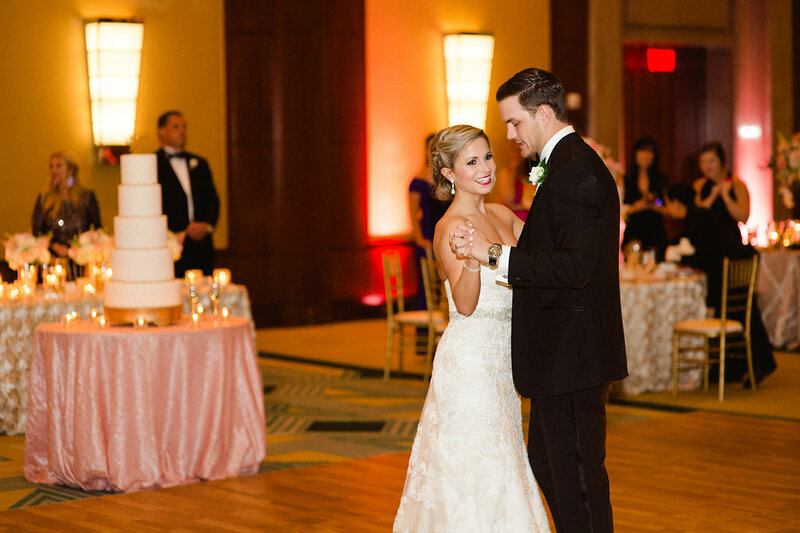 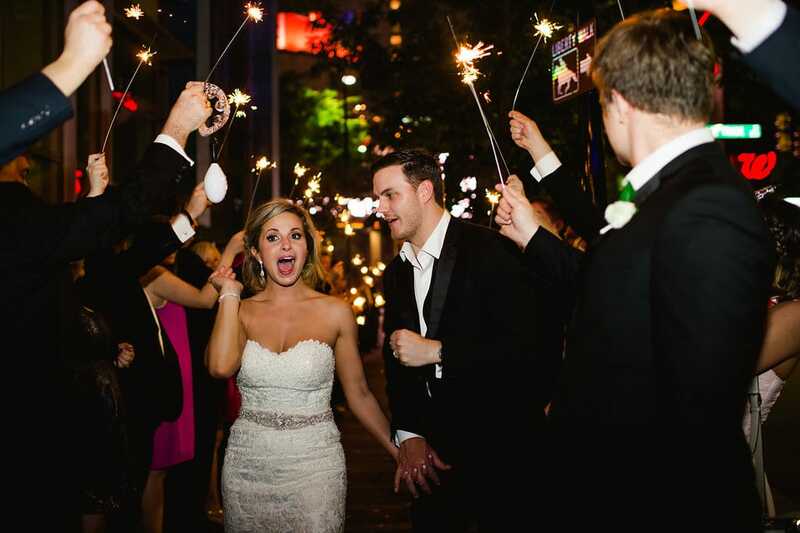 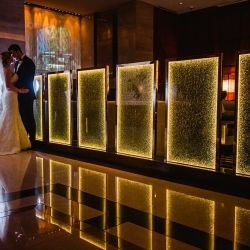 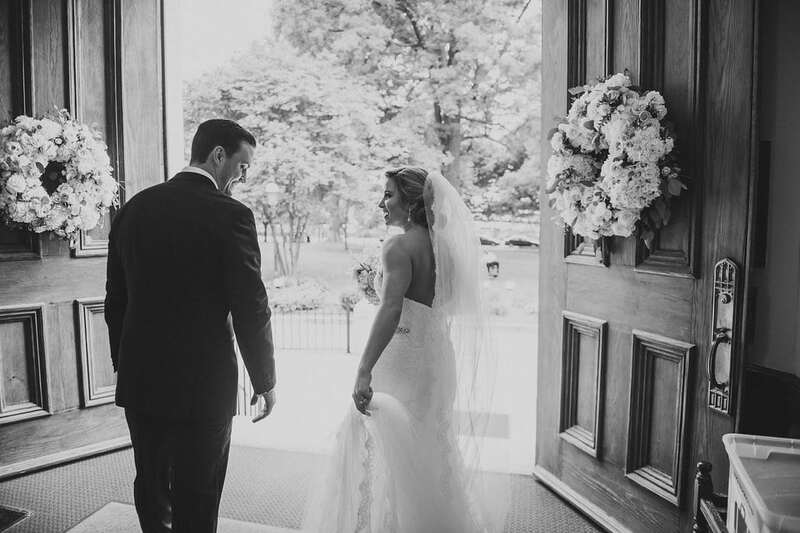 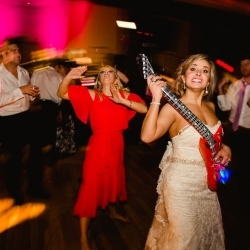 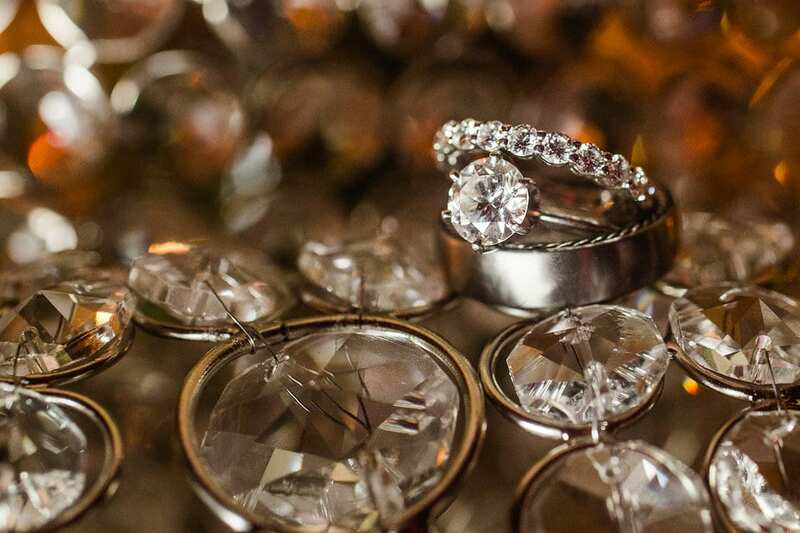 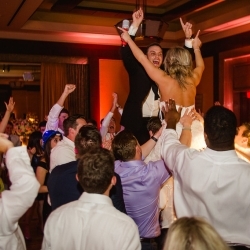 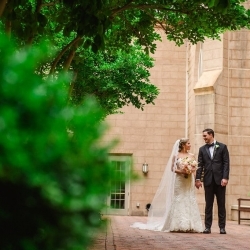 Katie and Austin were married at First Presbyterian Church with a reception at the Ritz Carlton in Uptown Charlotte. 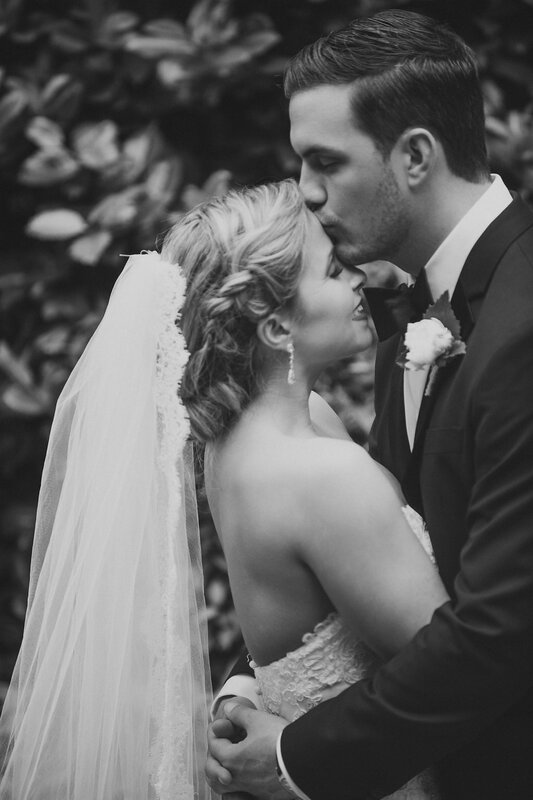 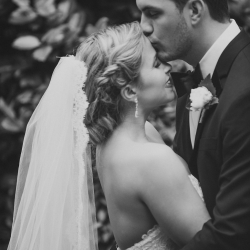 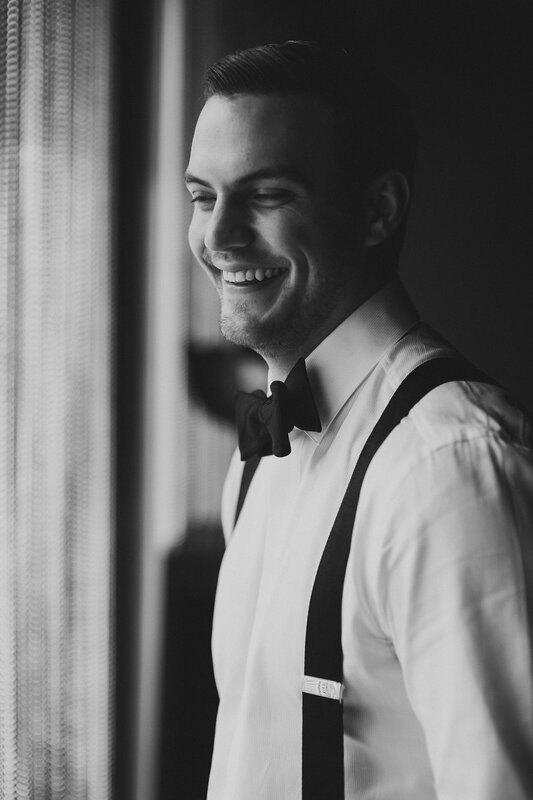 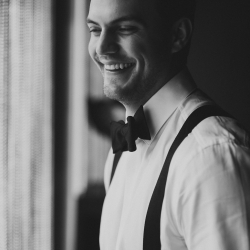 Their wedding was stunning! 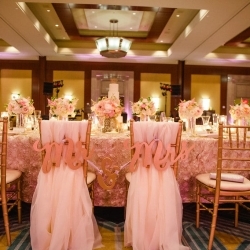 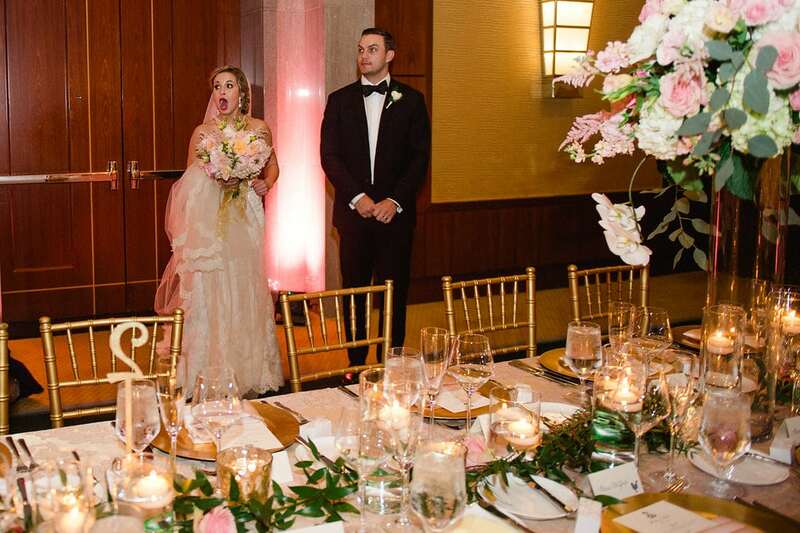 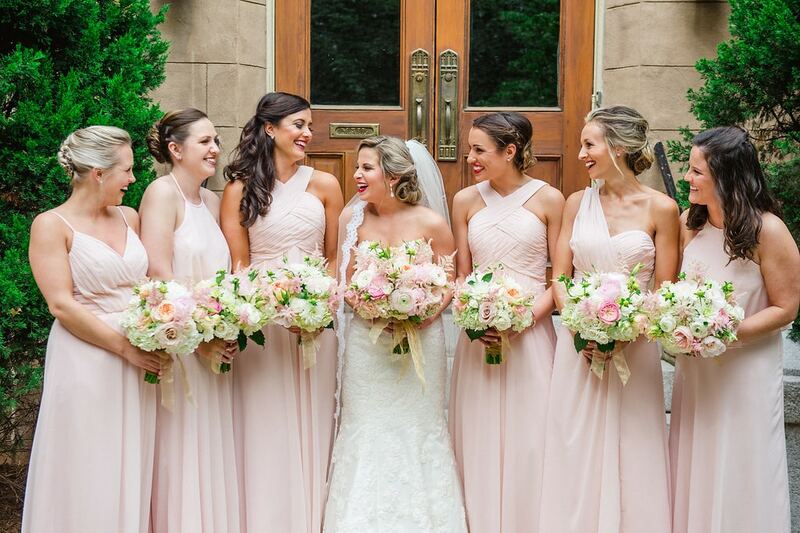 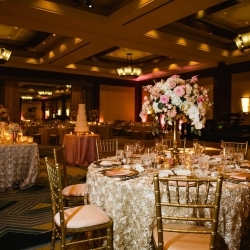 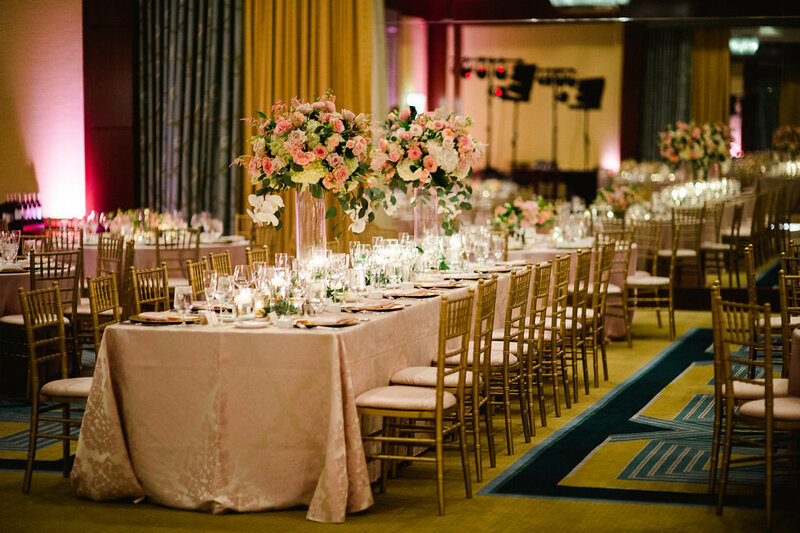 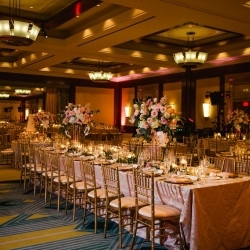 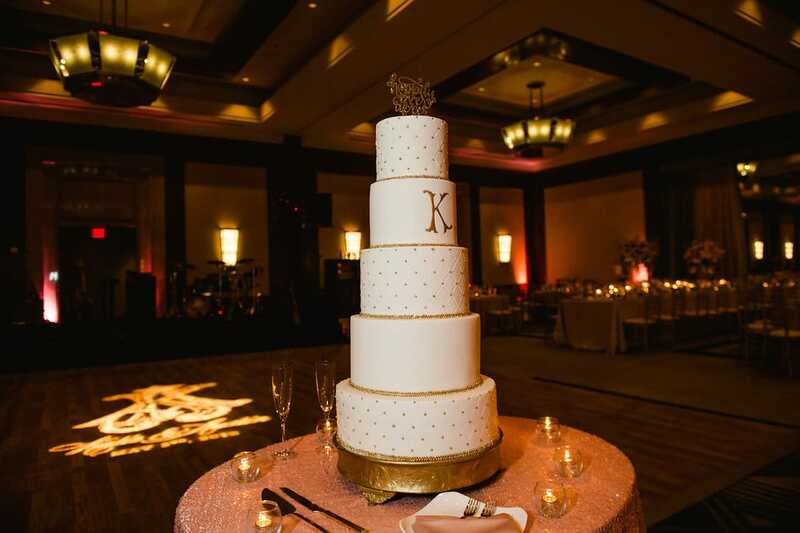 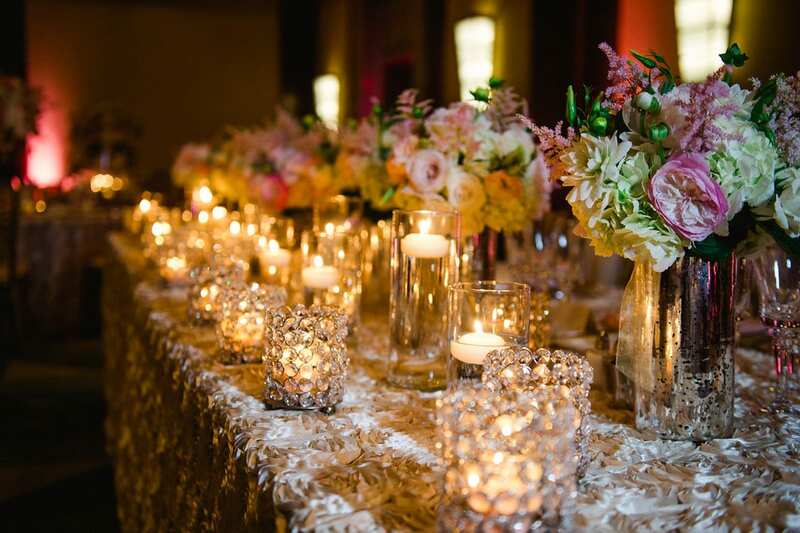 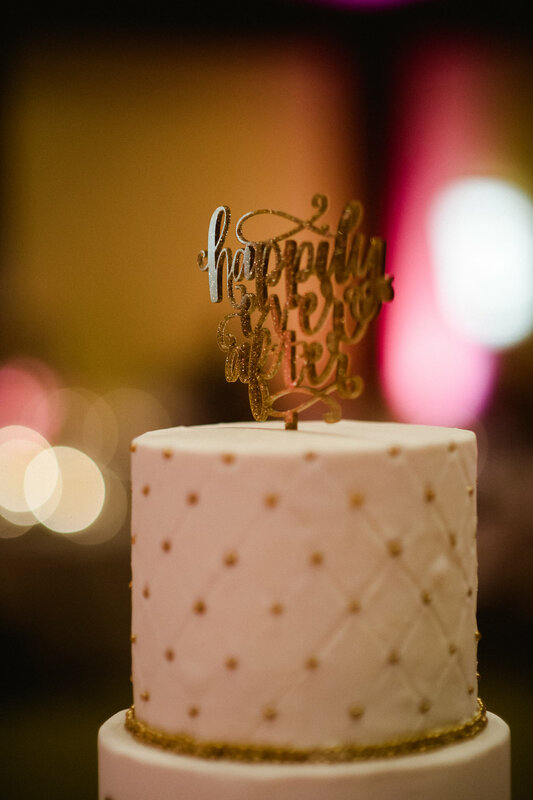 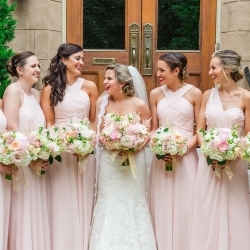 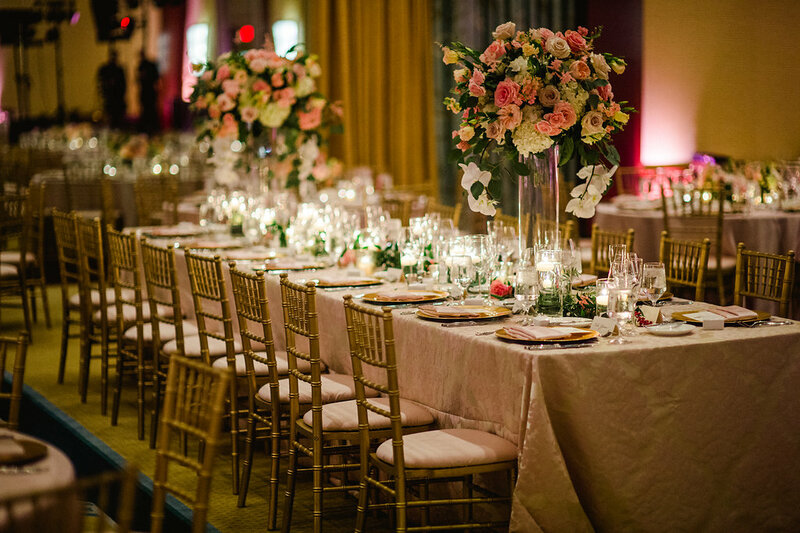 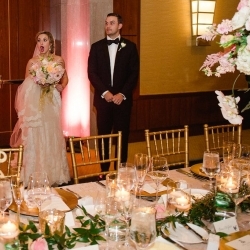 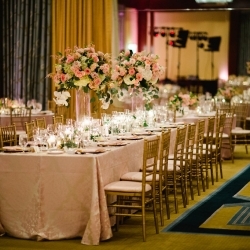 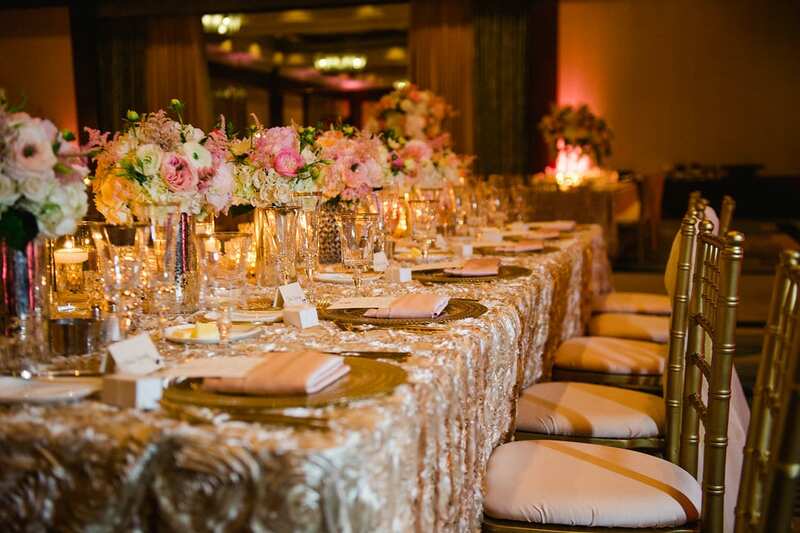 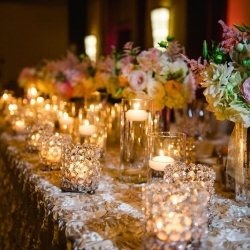 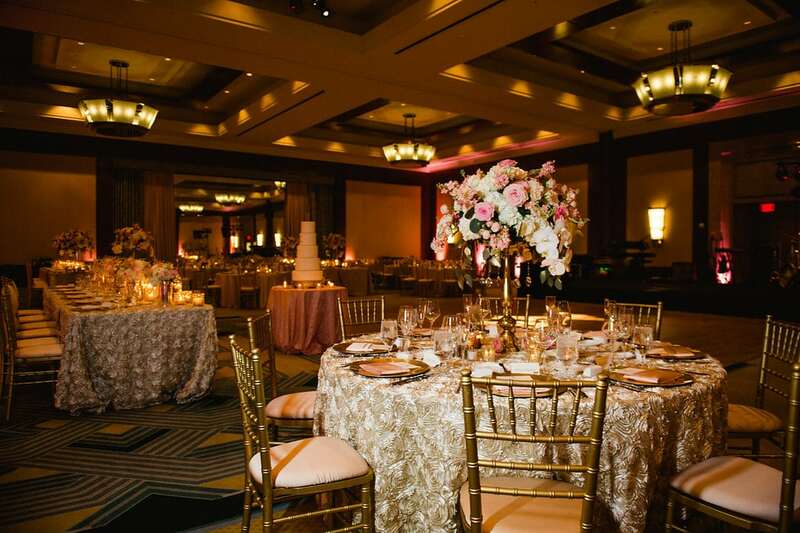 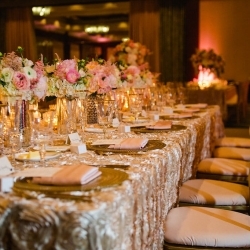 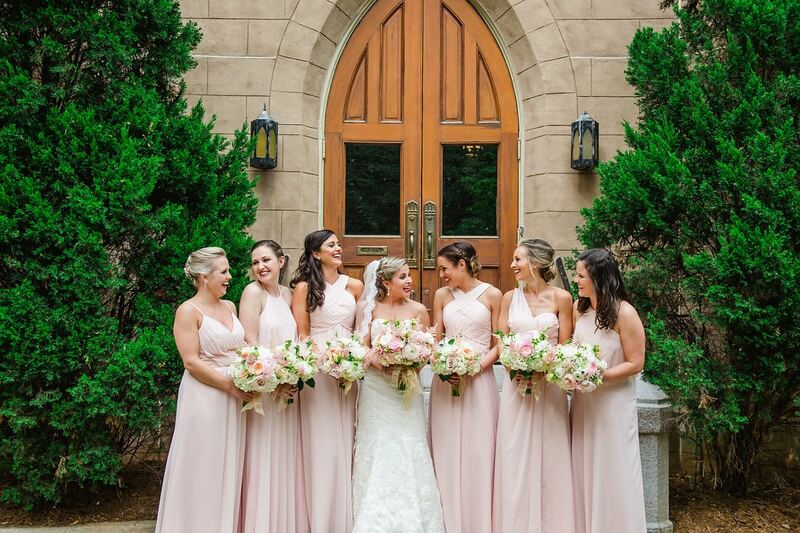 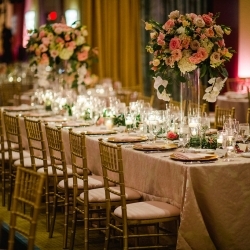 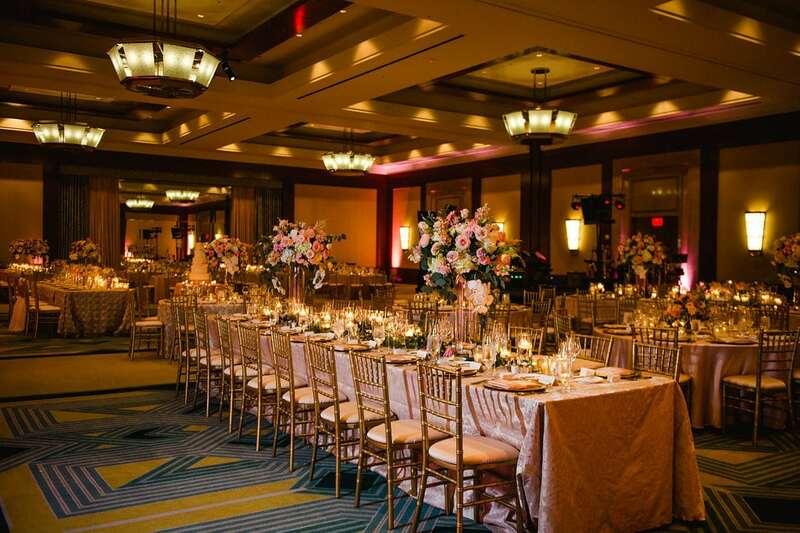 With a color scheme of blush pink and gold, the room looked amazing and completely and totally gorgeous. 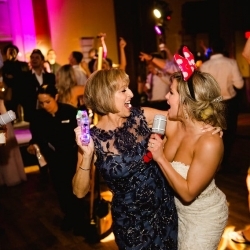 Sherri, Katie’s Mom, and I were in a lot of communication throughout this wedding process. 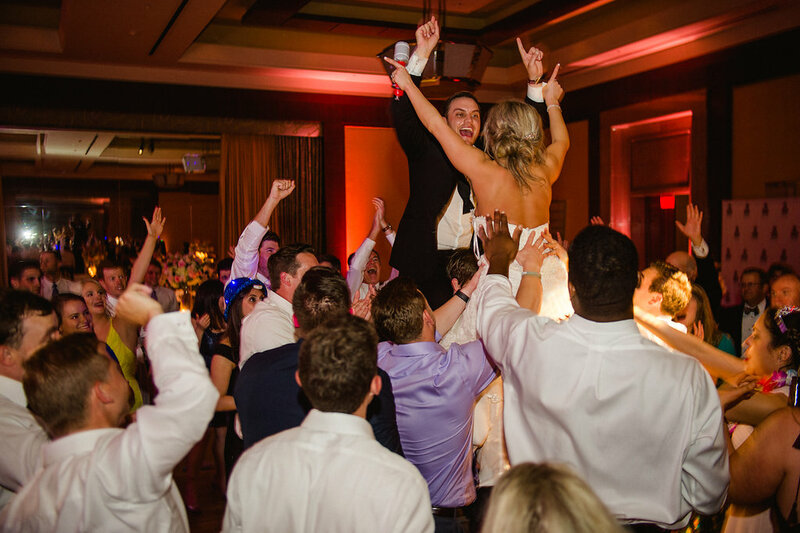 We met and she “loved my energy!” which is a great way of saying she could see how much I love weddings! 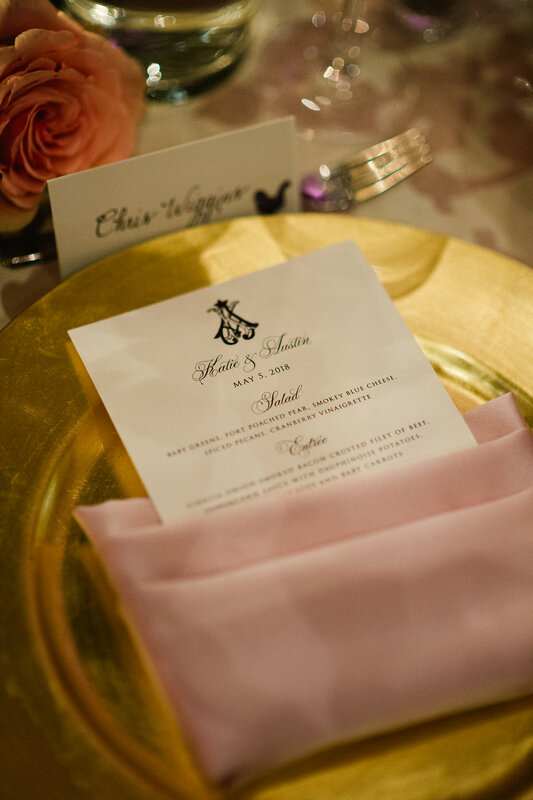 We had so much fun coming up with small details and where to put them, such as the amazing chocolates from Pott’s Chocolates. 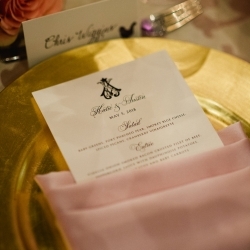 Sherri is great friends with the owners of Potts and they even invited me to a wine and chocolate pairing at their shop! 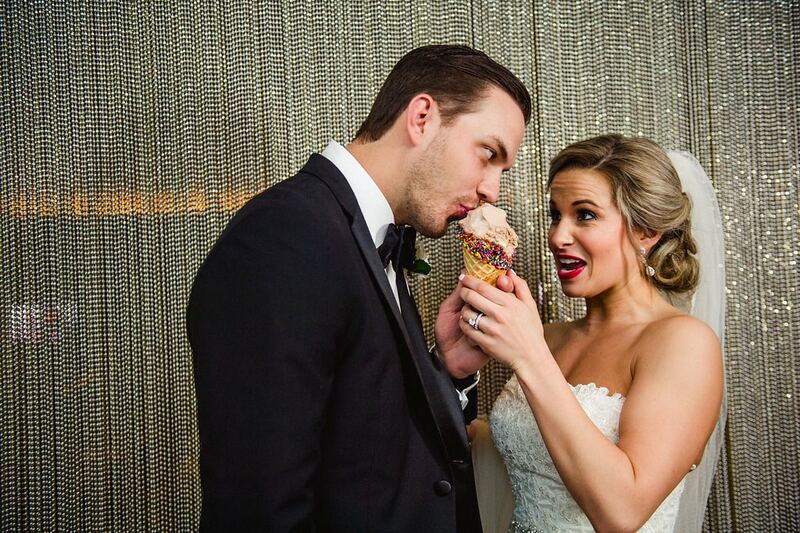 I could not get enough of their chocolate (I’m going to have to go buy some more now 😊). 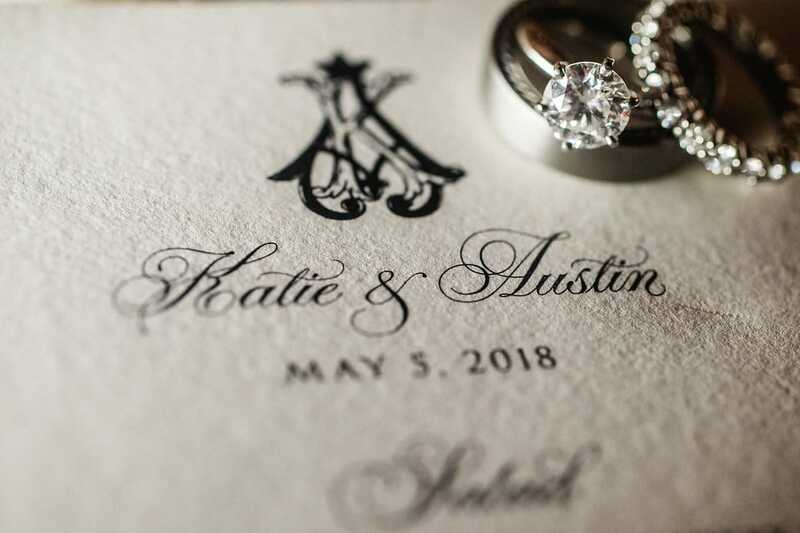 Katie and Austin are high school sweethearts, which you know holds a special place for me. 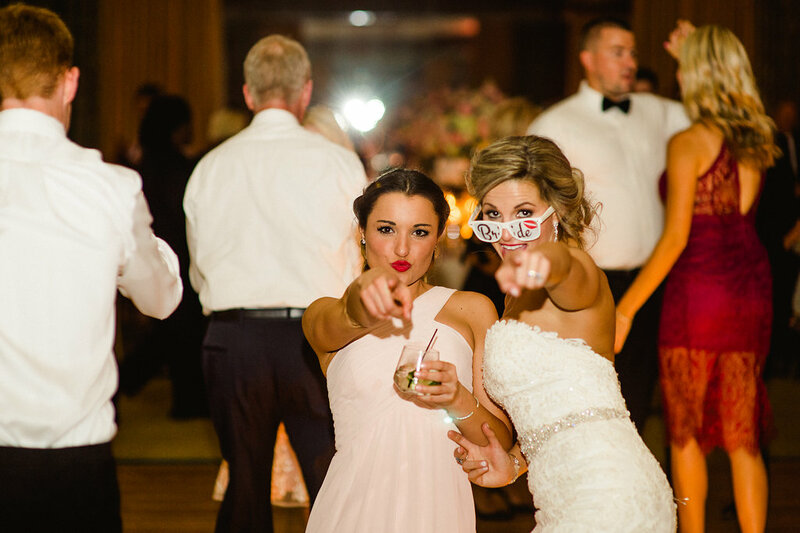 Katie is 1 year older, and they have been through high school, college, and time apart, so I know they will always be together. 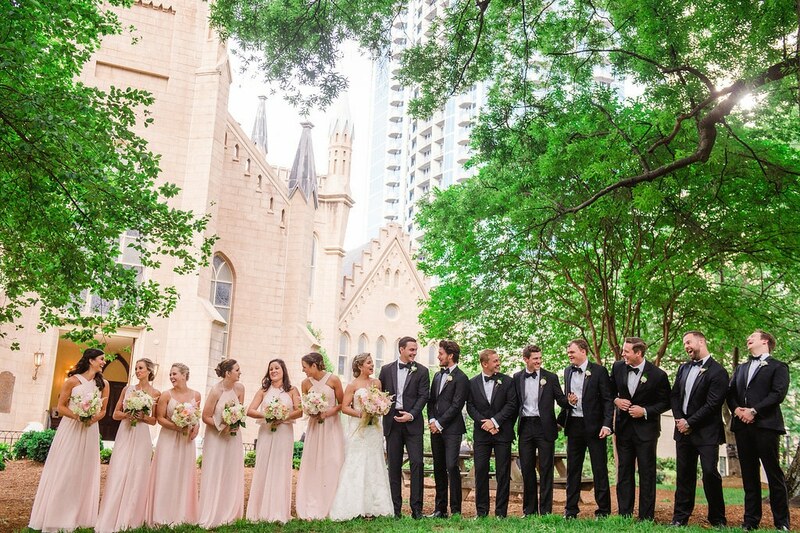 You can tell how much they love each other through their interactions and genuineness with each other. 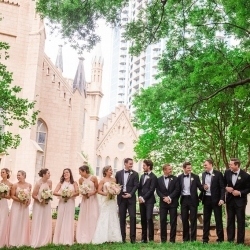 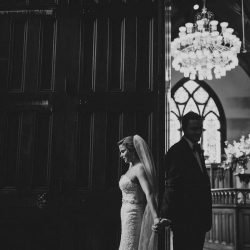 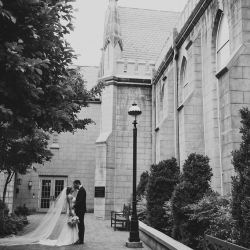 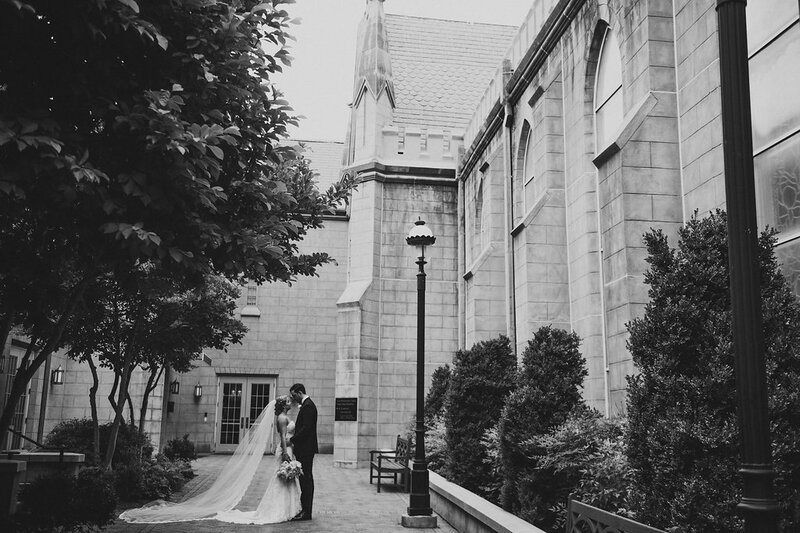 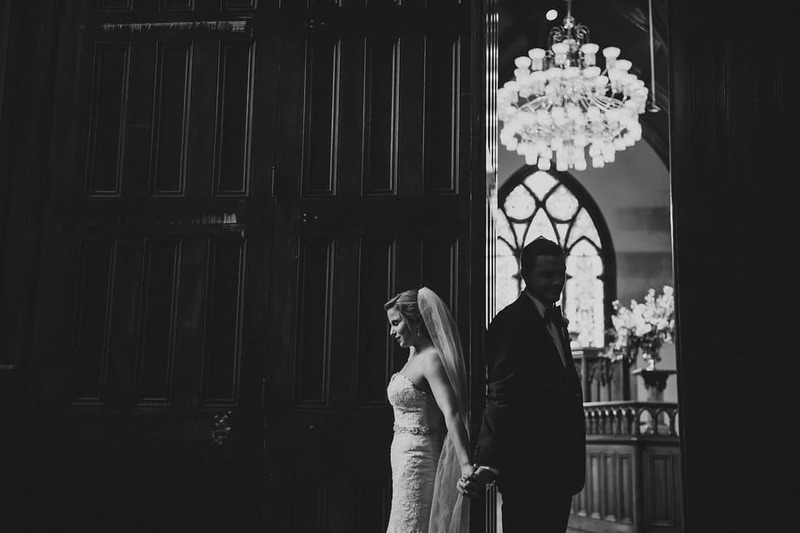 The ceremony was at First Presbyterian Church and then the guests arrived at the Ritz. 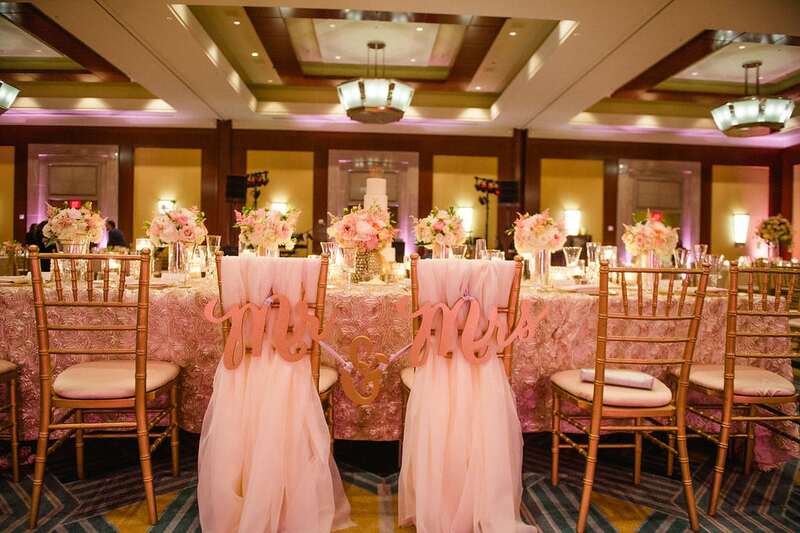 We kept the room blocked off for a room reveal for Katie and Sherri. 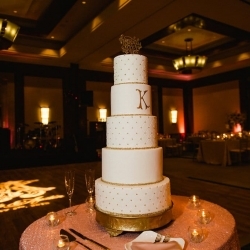 Katie loved it! 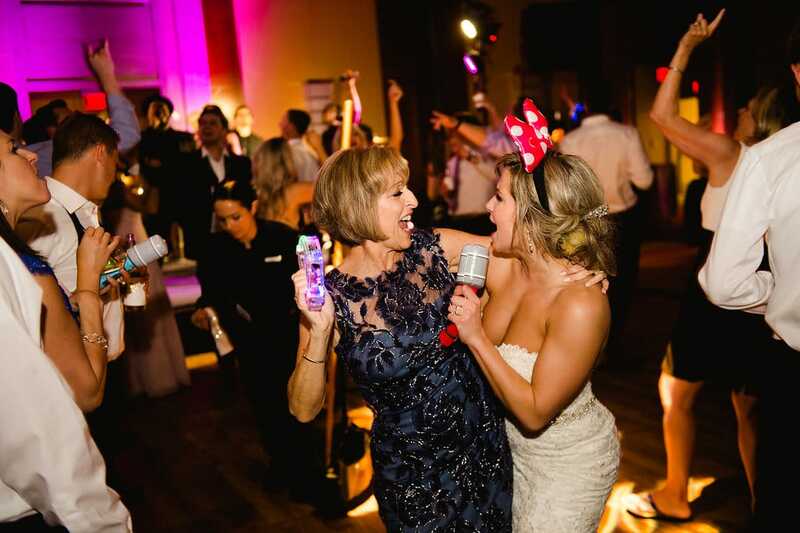 She really let her Mom choose a lot of the things and her Mom nailed her wedding style. 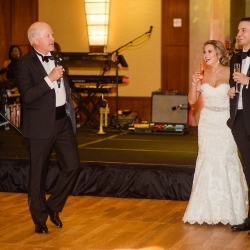 A harpist played during cocktail hour and the band kept everyone on the dance floor all night. 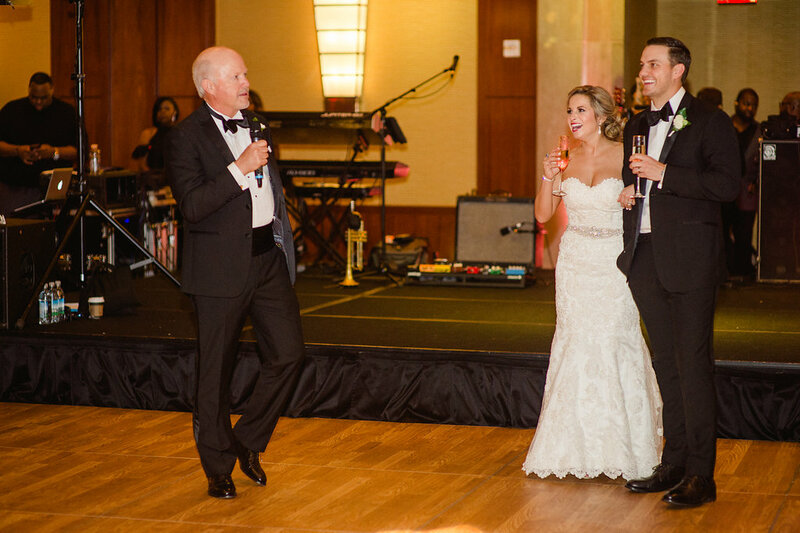 The guests had a fantastic time. 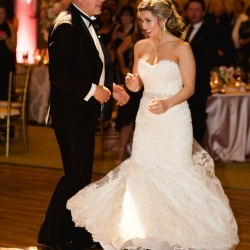 I even ran into a guest I knew! 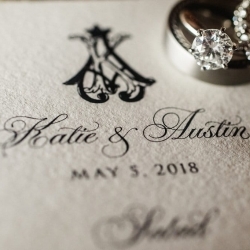 Katie and Austin, I will you all the best in your future endeavors!